Elliot Aronson, emeritus professor of psychology, will deliver the fall 2011 Emeriti Lecture at UC Santa Cruz on Thursday, October 27. His talk, "The Psychology of Self-Persuasion: Why We Justify Foolish Beliefs, Bad Decisions, and Hurtful Acts," will begin at 7 p.m. the Music Recital Hall on the UCSC campus. It is free and open to the public. Parking is available for $3 per vehicle in the Performing Arts lot. 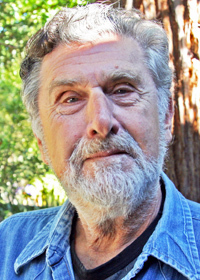 Aronson taught at UCSC from 1974 to 1994 and is one of the preeminent social psychologists of the 20th century. He has written or edited more than 20 books including The Social Animal, The Jigsaw Classroom, Nobody Left to Hate, Mistakes Were Made, (but not by me): Why We Justify Foolish Beliefs, Bad Decisions, and Hurtful Acts, and last year, a memoir Not By Chance Alone: My Life as a Social Psychologist. For more than a half century, Aronson designed and conducted experiments on social influence and persuasion. While social influence via direct persuasion (as in debate or advertising) can be quite effective, Aronson demonstrated that the most powerful form of persuasion is self-persuasion. Aronson will show how this phenomenon applies in a variety of areas including politics, medicine, the law, sexual behavior, and everyday decision-making. He is the only person in the 120-year history of the American Psychological Association receive all three of its highest awards--for distinguished writing, distinguished teaching, and distinguished research. In 1982, he was awarded the Gordon Allport Prize for his contribution to interracial harmony. In 1981, the Council for the Advancement and Support of Education named him Professor of the Year, and in 2007, he received the William James Award from the Association for Psychological Science for his "lifetime of significant intellectual contributions to the basic science of psychology." This year he was named winner of the Constantine Panunzio Distinguished Emeriti Award for 2010 that recognizes outstanding University of California professors in the humanities or social sciences for research and activities since retirement. Aronson received his B.A. from Brandeis University in 1954, his M.A. from Wesleyan University in 1956, and his Ph.D. in psychology from Stanford University in 1959. He began teaching at Harvard University in 1959 and moved in 1962 to the University of Minnesota. He joined the University of Texas in 1965 before joining UCSC nine years later. After retirement he continued to teach at UCSC and later Stanford University.